What does causation mean in a medical malpractice claim? Establishing causation is a key element in a successful medical malpractice case, since the legal definition of malpractice requires a link between fault and injury. If you can't prove that your injuries or damages are the result of a healthcare provider's negligence, you won't be eligible for compensation. Cause in fact or actual cause is a type of causation in which the plaintiff's injuries are viewed as a foreseeable result of the defendant's actions. This is sometimes called the "but for" test: the patient would not have been injured but for the healthcare provider's malpractice. Proving cause in fact or actual cause is often difficult. For example, the elderly, children, and people with compromised immune systems are more at risk for hospital acquired infections than other people. Even if all members of their healthcare team take reasonable precautions to prevent infection, patients may still become ill. Or, if the infection occurs less than 48 hours after being admitted to the hospital, it may be due to a completely unrelated cause. Proximate cause considers whether it's possible that other factors may have contributed to the plaintiff's injury. Proximate cause may become a factor in a malpractice claim when the patient suffers from a serious illness that could have worsened even if the doctor or healthcare provider had followed standard medical practices to the letter. For example, proximate cause might be an issue in a malpractice claim if you're seeking compensation for a delayed cancer diagnosis or a mistake in the administration of chemotherapy drugs. 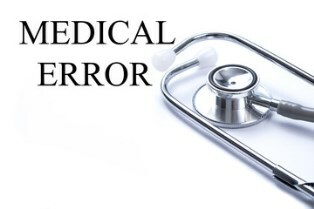 It's not enough to simply prove that the provider made a mistake in handling your medical care. You must demonstrate that this mistake affected the outcome of your case. If your cancer was already advanced or of a difficult type to treat, the defendant may argue that deviations from care can't be linked to your current condition. The legal doctrine known as res ipsa loquitur, which comes from a Latin phrase meaning “the thing speaks for itself,” applies when a patient's injury is one that wouldn't normally occur without negligence. For example, if a patient suffers injuries from having a surgical tool or sponge left inside after a procedure was performed, this type of error would not have happened if proper protocols were followed. Proving causation in a medical malpractice case can be quite complicated. Typically, you'll need to have several expert witnesses testify on your behalf. These experts should have training in a medical specialty related to your condition and be able to offer insight into diagnosis, treatment, and how errors would affect patient outcomes. If you were treated by a team of providers, experts may be needed to establish that the defendant is the provider who made the mistake constituting the basis of your claim. Malpractice cases are generally settled out of court, but insurance companies are known for being more interested in protecting their bottom line than in offering adequate compensation. To protect your right to a fair settlement, hiring a skilled medical malpractice attorney is a must. The attorneys at Neblett, Beard & Arsenault are dedicated to assisting Louisiana residents who've been the victims of medical malpractice obtain the compensation they're legally entitled to receive. Call to schedule a free, no-obligation initial consultation.